Perfectly Executed Weekend Girls' Trip to New Orleans. 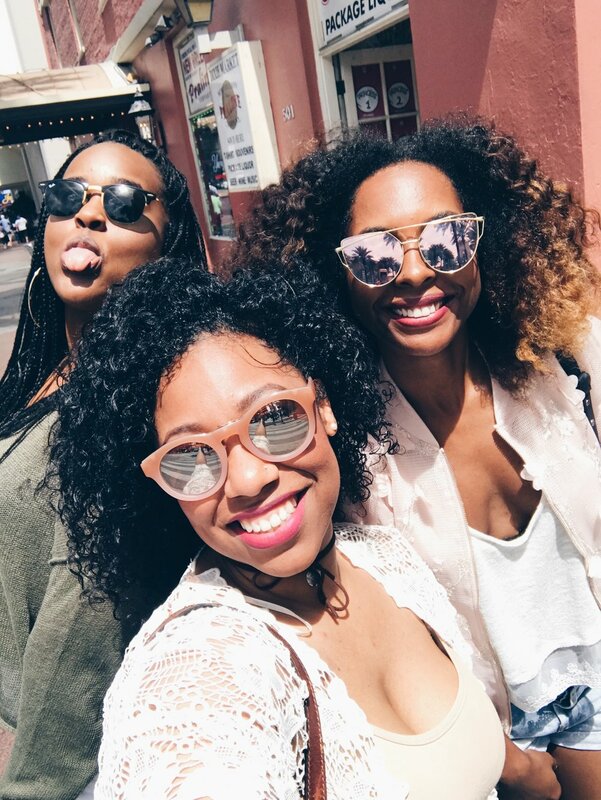 As the honorary travel planner of my friend groups, I couldn't have been any prouder of how efficient and stress-free, my girls' trip to New Orleans (Nola) was. 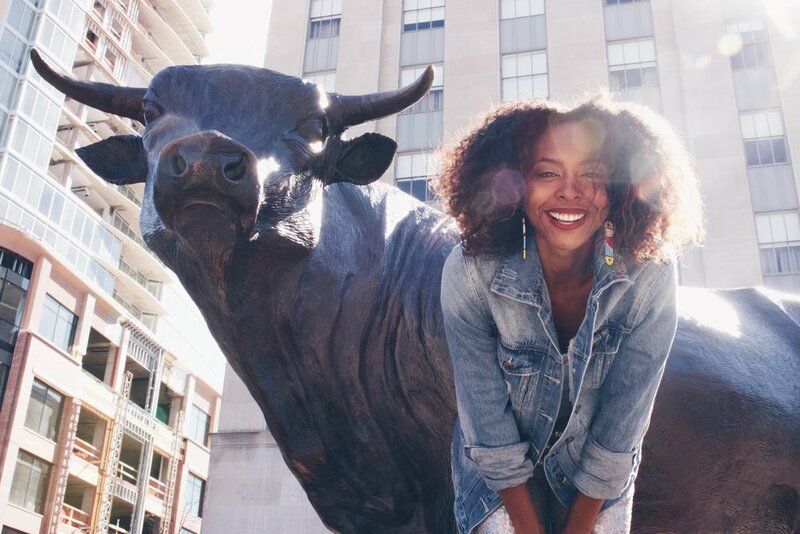 We maximized our time and enjoyed a full weekend of Nola's history, food, and nightlife. Read more about our adventure here. Placing 15th out of 457 teams at Questival. Questival is an adventure race where you spend 24 hours with your friends in a city of your choosing, crossing amazing experiences off of your bucket list. Each challenge is documented by video and uploaded to the Questival app for judging. My friends and I competed in Durham, NC. It was an exhilarating experience and a great way to explore Durham and it's surrounding areas more deeply. We slayed the challenge and placed 15th out of 457! Not bad for our first time! First International Trip With My Family. This year my family and I went to Jamaica, which was our first international trip together. One of the sweetest moments was seeing my mom so relaxed! She works really hard, and this trip was her first time out of the country. Seeing her at ease put a fire in me to work even harder to provide her with more moments like this. Indulging in Jerk Chicken in Jamaica. Jamaica was a special place for me, because it was my 20th country and the first Caribbean country I've visited. I'm a huge fan of Jamaican food! 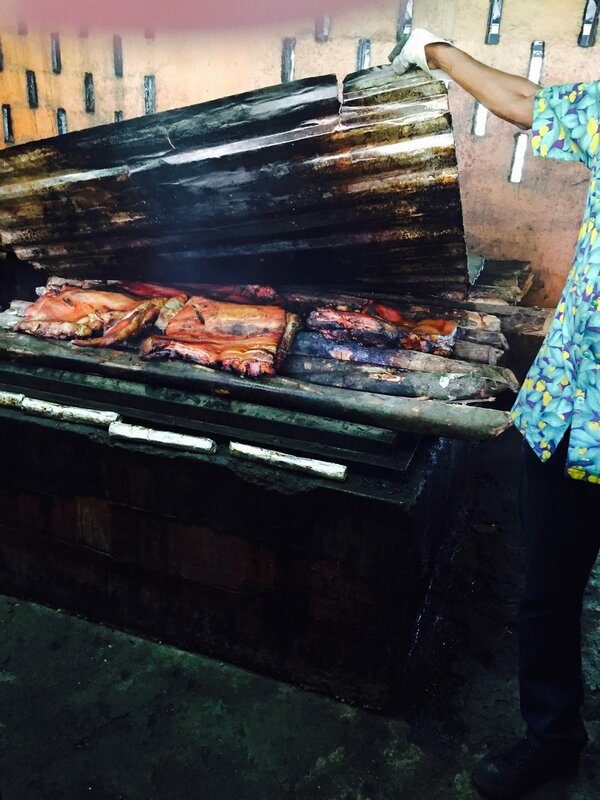 My experience eating jerk chicken in Jamaica was borderline life-changing! If you are in Ocho Rios, go to Scotchies and order the jerk! Read more about my experience in Jamaica here. Transformative Birthday Hike at Hanging Rock. For my 28th birthday, I went with some of my closest friends hiking at Hanging Rock State Park in Danbury, NC. After a fairly intense hike to the top of Hanging Rock, my friends and I sat down and soaked in the glorious panoramic views. Everyone spoke affirmations for their life and then spoke affirmations over my 28th year. We then each took a few sticks and threw them over the cliff representing the things we wanted to release from our lives. It was a powerful and much needed exercise for all of us. I left that hike feeling invigorated! Feeling at Home in Morocco. My entire experience in Morocco was majestic! I've never felt so at home in a foreign country as I felt there. I loved the flavorful food, the exquisite riad experience, the diverse landscape, and the warm people. Read more about my experience in Morocco here. Checking Off Bucket-List Items in Morocco. 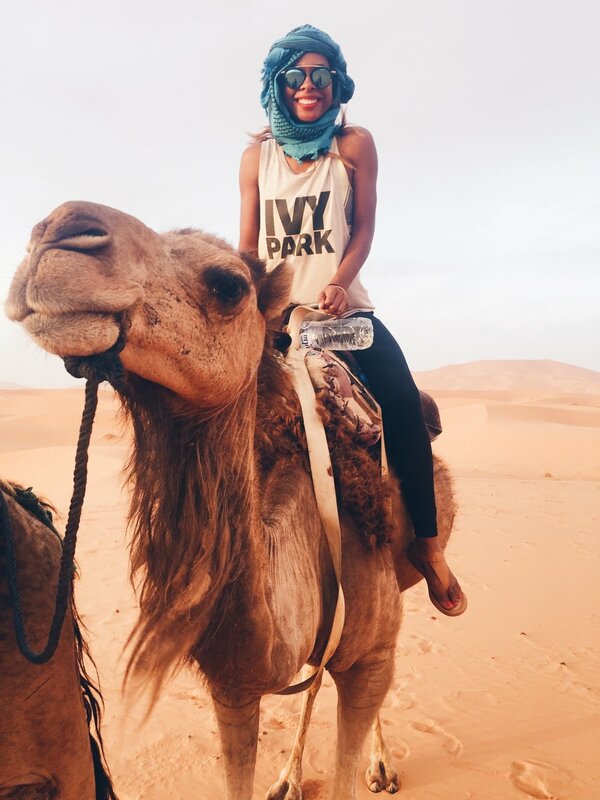 Beyond feeling like a Queen in Morocco, it was special because I checked two items off of my bucket list: an overnight adventure in the Sahara Desert and visiting Chefchaouan, the Blue Pearl City. I've been dreaming about these experiences for years! Hiking to a Hidden Beach in Portugal. One of the most beautiful beaches I've ever been to was Praia do Ribeiro do Cavalo. It is in Sesimbra, which is about an hour drive away from Lisbon and can only be reached by hiking down. My friends and I didn't expect to have to hike our way to the beach and the route wasn't exactly the clearest. But along the way we made friends with other travelers who were trying to make it down, and we all helped each other. When we finally arrived to the beach, we quickly realized it was well worth the effort! Read more about this hidden gem here. Eating Portuguese pastries is like having a symphony in your mouth. Pictured below is a queijada. It's a local treat made with a mixture of flour, sugar, egg yolk, fresh cheese (unsalted) and cinnamon. They are so delicious! I could eat them all day! Meeting Lifelong Friends & Reconnecting with Old Friends. 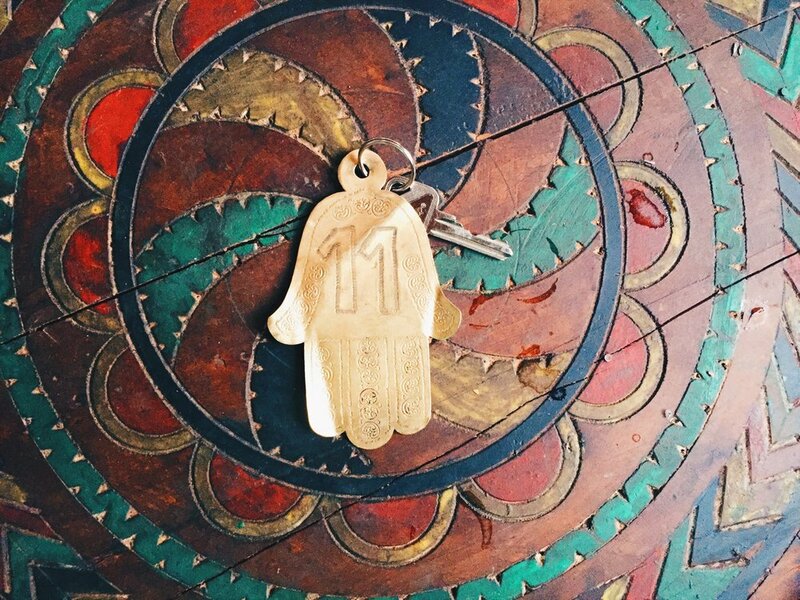 In June, my friend Fi and I traveled together to Morocco and Lisbon. While in Lisbon we met up with her college friend Rino, a Japanese woman living in Singapore, and went on a walking tour together. A few minutes into the tour I started talking to Laura, a fellow American living in Miami. We all four really vibed with one another and decided to take a few day trips exploring Lisbon together. You would have thought we were all friends for years. In October, I went to Bali and Singapore with my best friend Maritza. While in Singapore, we met up with Rino and my college friend Tess. My friendships mean the world to me and I appreciated that precious moment where friends from all walks of my life were meshing together. Impromptu Layover Exploration in Taipei. 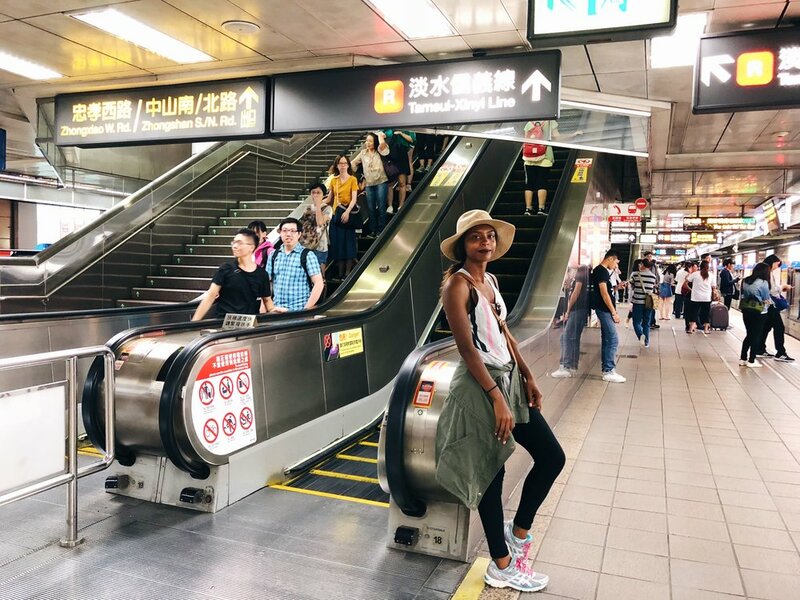 On our way to Singapore, Maritza and I had an extended layover in Taipei, Taiwan. We headed over to the informational area, spent about 10 minutes planning our trip, stored our luggage, and converted 20 USD each. I love how in-the --moment that experience was and how we navigated the metro system like the true New Yorkers we are! Living it up in a Private Villa in Bali. Our trip to Bali served as an extended birthday celebration for me. And our private villa in Payangan (near Ubud) was the icing on the cake. It was uniquely placed among paddy (rice) fields and had a beautiful infinity pool. Read more about my DIY eat, pray, love retreat in Bali here. Sunrise Trek on Mt. Batur. The first time I busted into tears during a travel experience was my trip to the Vatican in 2013. The 2nd time was during a sunrise trek on Mt. Batur. Starting in the dark and hiking up towards the lightness symbolized the personal struggles I've been actively working through this year. I felt triumphant, and the experience left me speechless. Adding to My Travel Memento Bedroom Gallery Wall. This year I started a travel gallery wall in my bedroom filled with some of my favorite travel souvenirs. It a daily reminder of precious memories I hold close to my heart. I'm so grateful for all of these experiences and I look forward to where life takes me in 2018!